We deliver high quality training to help staff achieve more and improve performance with Microsoft software. With a diverse client base across the UK including global companies, small businesses and public sector organisations, we deliver training in an engaging and enjoyable style which increases confidence and ability with all Microsoft software. Learn how to save time, reduce costs, enhance quality, increase knowledge and collaborate in the digital workplace. 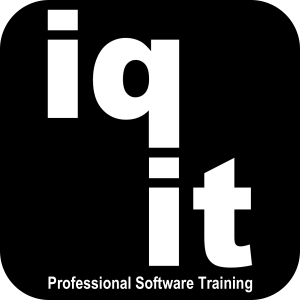 We specialise in the design and delivery of tailored training to improve performance with Microsoft software. We will gain an understanding of what you want to achieve before delivering targeted training which will achieve immediate and long term benefits. From tailored Office 365 training programmes to collaborating online, we give your staff the skills they need. We deliver a wide range of Core Skills Courses which focus on learning the fundamental and advanced skills that staff need to gain the most from Microsoft software and increase productivity. The majority of our Core Skills Courses are 3 hours long and up to 20 staff can attend each session. Core Skills Courses are delivered in context with your business practices, helping trainees recognise how skills can be applied at work. A refreshingly interesting and engaging course. This has changed my perception of software training courses. Very impressed! Based in Newcastle and with a diverse client base across the UK including global companies, small businesses and public sector organisations, we deliver effective and enjoyable training to help staff achieve more and work smarter with MS Office.